Our product range includes a wide range of fuel storage tank management, mechanical tank gauging systems, automatic fuel tank gauge system, fuel inventory management system, tank leak detection system and fuel consumption system. 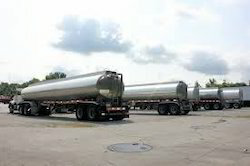 We are known to offer the Fuel Storage Tank Management. These storage tanks are manufactured with latest and advanced technology for our valued clients. Our provided storage tank is easy to maintain and to store petroleum or hazardous substances. Furthermore, our provided storage tank is available in a variety of sizes, shapes and designs as per the requirements of the clients. Backed by our years of industry experience, we are betrothed in presenting an excellent quality Mechanical Tank Gauging Systems. 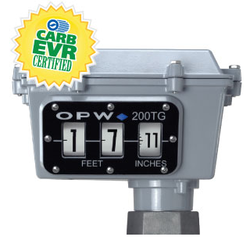 This system eliminates the online testing and checking of tanks’ gauging. The system is built using advanced technology and technique. Our engineers have provided a unique and easy way for understanding and reading the tank gauge. This helps in reading the tank sheet capacity and storage efficiency. Leakages, blast and any other issues occurring during transportation get eliminated due the offered system. We feel proud to introduce ourselves as the leading organization in this domain, engaged in presenting an excellent grade Automatic Fuel Tank Gauge System. This system helps in understanding the loading, unloading and inventory updates. It is one of the prominent systems available in oil refineries. To ensure the accurate measurement and solutions, we manufacture the system using quality materials and components. Also, our professionals use advance and innovative technology for making the system provide high accuracy results. Whenever you need accurate inventory, delivery & unloading data, all are here! Security Surveillance : high or low oil level empty tank problems will not happen; water level; *temperature monitoring and warning system. We are the prominent organization of this domain engaged in offering a wide spectrum of Fuel Inventory Management System. This machine is utilized and manufactured using quality materials and meters. The advanced technology and innovative techniques that have been implemented in the system is quite appreciating. Our engineers ensure manufacturing the system in accordance to industry norms. 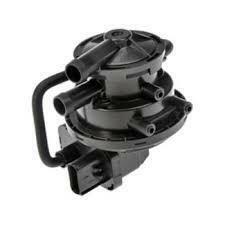 Furthermore, clients can get the system installed and applied by us at industry leading rates. We are the leading manufacturer, supplier of the Tank Leak Detection System. Shift reports can be programmed to be stored automatically three times daily. The information can be displayed via the on-site computer, off-site computer or printed on the system printer. We are successfully ranked amongst the topnotch entity offering a wide range Fuel Consumption System. This fuel monitor is equipped with every possible computerized programming system available in the industry. It has touch screen display, descriptive control panel, advanced leakage detection module, internal power supply, account collection and statistic display, reports analysis and forming, density measurement system and 64 sensors attached to the system. 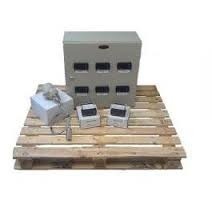 Clients can call it a master fuel monitoring system that is programmed to generate profit by protecting losses. 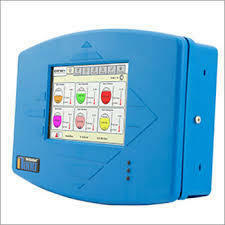 This monitoring system is used in oil refineries and oil storage warehouses.